Dr Rees has extensive experience of planning and delivering medical services for remote travel. 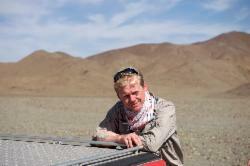 As well as experience delivering medical support to the forces during commando and submarine operations, his most recent work includes designing and delivering bespoke medical solutions for arduous overland expeditions to the most remote corners of the world, spanning every continent. He offers a full pre-event medical screening service for those about to embark on remote travel, and can assist with planning what to take on a long overseas trip. He has designed and produced expedition medical packs for travellers to all areas of the globe, as well as sourcing highly-trained and well-equipped medical escorts for particularly high-risk areas.